Posh Poll: Do you Splurge on Designer Baby Items? The Posh Poll is your chance to weigh in on issues we may face as Mommies. A new poll will be posted in our navigation menu every Monday; final results and a consensus of comments will be posted every Friday. Have a suggestion for a future poll? Email us at PoshMumsy@gmail.com. Do you Splurge on high-end, designer items for your Poshette or Prince? 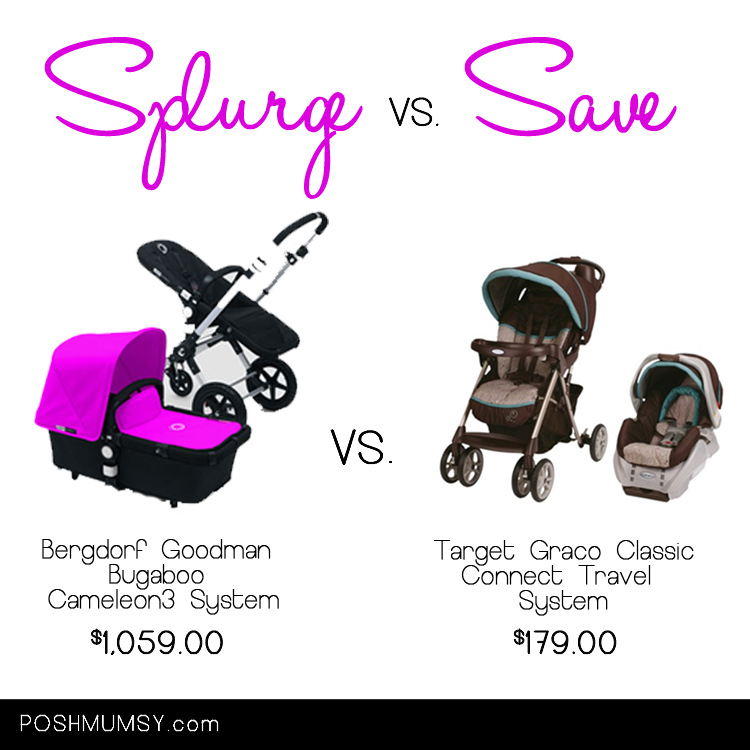 Is there really a difference between that Graco Travel System and the Bugaboo Camelon3 aside from aesthetics? Does your Poshette have to own the KidKraft Kitchen Set instead of the Fisher-Price? Did you splurge on a crib set from Rosenberry Rooms instead of opting for the Targét Circo set? Don’t forget to share your full thoughts on the topic on the page’s comments section! Personally, I think you can find good quality products that will be easy on the wallet. A brand is a brand and you are paying for that. My baby is not lacking anything and is always current, but on a dime. Now if it is something that I know will last long and I will get my money’s worth, I would consider it. However, it would have to be furniture, a learning tool, etc. There are so many lower-end brands that offer cute and stylish options for our little ones. Within the last few years H&M, Zara, and even Target have stepped up to add a dose of the more “trendy” styles to their kids collections. I enjoy my little diva picking out her own outfits from these places especially knowing the cost is of market value and not some ridiculously outrageous price. Target also sells some Designers For Target brands from time to time which I thing was a splendid idea especially for those of us who want that higher-end feel. Nordies Rack and Marshalls are also a few of my favorites when I’d like to get a branded jean or item for my daughter.